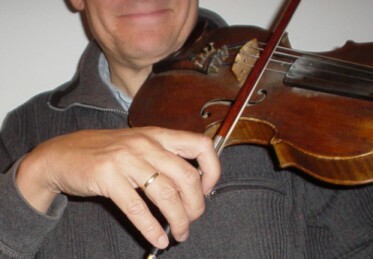 You should have the same point of origin when holding the bow, as when holding the violin. 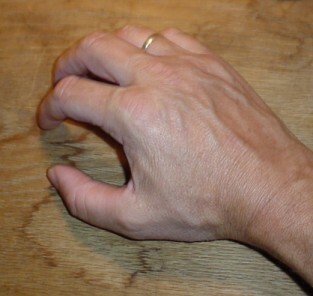 A relaxed hand has curved fingers!. Before you start playing you should tighten the horse hair of the bow. The small finger should be put on top of the wooden tail piece of the bow in order to control it. The other fingers are placed loosely on the side of the bow. Look at the lower picture how the thumb is slightly bent below the bow. Starters (children) may hold the thumb under the frog of the bow.